Plastic pollution increases continously. Animals are living in plastic and there are areas, where 6x more plastic debris is swimming in the ocean than plankton. Plastic bags cause the death of many marine animals, when they are mistaken for food. The ocean supplies half the oxygen we breath. So we need healty oceans. 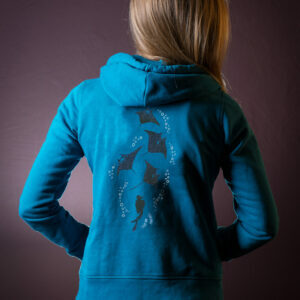 This was a Project I did for Raja4Divers. 9 short movies for their Website. They show whats around the resort and whats special about the area. With some short facts in the movies the guests should get to know a little bit more about special divesites or marine life. 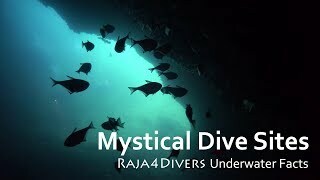 Mystical Dive Sites - How diverse can dive sites be? Watch this movie for the answer and explore the unique underwater world of Raja Ampat. 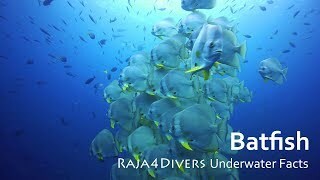 The "Raja4Divers Underwater Facts" mini series is about fish and creatures you will see while diving or snorkeling with us at our resort in Raja Ampat. This is not about the rare encounters and by far does not contain the vast underwater biodiversity that Raja Ampat is famous for. Batfish - Can Batfish change their color? Watch this movie for the answer and more interesting facts that will bring you closer to our friends below water. 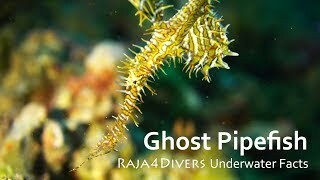 The "Raja4Divers Underwater Facts" mini series is about fish and creatures you will see while diving or snorkeling with us at our resort in Raja Ampat. This is not about the rare encounters and by far does not contain the vast underwater biodiversity that Raja Ampat is famous for. Ghost Pipefish - Ghost Pipefish come in a vast variety of shapes and colors, but what do they have in common? Watch this movie for the answer and more interesting facts that will bring you closer to our friends below water. The "Raja4Divers Underwater Facts" mini series is about fish and creatures you will see while diving or snorkeling with us at our resort in Raja Ampat. This is not about the rare encounters and by far does not contain the vast underwater biodiversity that Raja Ampat is famous for. Heart of the Coral Triangle - How does massive biodiversity look like? Watch this movie for the answer and more interesting facts that will bring you closer to our friends below water. The "Raja4Divers Underwater Facts" mini series is about fish and creatures you will see while diving or snorkeling with us at our resort in Raja Ampat. This is not about the rare encounters and by far does not contain the vast underwater biodiversity that Raja Ampat is famous for. Blackwater Diving is the most crazy thing you can do. You drive out into the pitch black night with the dingy, jump into the ocean and wait what comes up. And you discover a world, which is just freaky. This Video originated during one of my best dives ever. We had the chance to dive a whole dive with Dolphins. They played with us and were very curious and came an went again. It was a experience of a livetime. This is a Movie about the passion of Ellie Germanov. 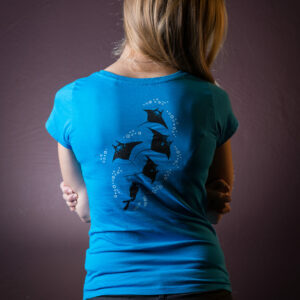 She is a Manta Researcher and works for Marine Megafauna Foundation. This was an early morning dive at Batu Balong in Komodo. I love watching the travellis shoot into the school of fusiliers and how the school moves around. Diving in the Anemone City in Alor. This Diveside is grown over with anemones and full of Nemos. I have never seen a place like that. My best friends Serie’s it’s all about my best friends underwater and how they are living and unfortunately threatened too. Episode Nr. 2 of my Best Friends Series: Seehorses. Filmed with a Sony RX-100 most of them in Lembeh and Ambon. I always liked these beautiful fishes. I just wanted to show everybody how beautiful they are, as I came over the fact that they are threatened with extinction. I filmed them in Lembeh, where they didn't even live originally. They just existed in the Banggai Islands, until they got introduced in Lembeh by aquarium traders in 2000. Filmed with a Sony RX-100 staying at Divers Lodge Lembeh. Das ist mein erstes Auftragsvideo für die Unterwasser-Welt-Ausstellung von SeaArt. Das erste Mal, dass ich mit einem Unterwasser Model gearbeitet habe. 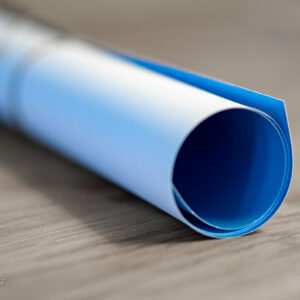 – I did this shortmovie on order of SeaArt. SeaArt organizes underwater exhibitions. This was the first one in an openair swimming pool in Switzerland. Working the first time with a underwatermodel was a new expierience.. Die Manta Tauchgänge in Komodo waren verrückt. Die Mantas kamen so nahe, dass man Sie hätte berühren können. Das habe ich natürlich nicht, dafür genau beobachtet, wie sie mich auch. – The Manta Dives in Komodo were insane. The Mantas came that close I could have touched them, I did not for sure. But I watched them closley as they did me. Am Ende eines Tauchganges in Ambon kamen wir an einer Gruppe Sepias vorbei, die über ihren gelegten Eiern einen Tanz aufführten. Wahrscheinlich ein einmaliges Erlebnis. Was genau sie da machten, konnte ich bis jetzt noch nicht herausfinden. – On a Dive in Ambon we were very lucky. Probably a “Once in a lifetime” encounter. 20 minutes we could watch about 20 Squids mating or lying eggs or protecting eggs. Ein Best of Video von einer 10-tägigen Safari in Komodo mit Current Junkies. Wie der Name schon sagt, bei zum Teil starken Strömungen. – A Video of a 10-Day Liveaboard in Komodo with Current Junkies. As the name indicates, sometimes with quite strong current. Mein Best Of aus 6 Tagen Tauchen in den Cenoten in Mexiko. -Out of 6 days of Diving in the Cenotes in Mexico. Ein Video das aus purer Freude an der Unterwasserwelt entstanden ist. Ich wollte zeigen, wie unter Wasser gejagt wird, weil das für mich die beeindruckentsten Momente beim Tauchen sind. – A Video which originated in the pure delight of the underwaterworld. I wanted to show how hunting is going on down there, because for me these are the most impressive moments.